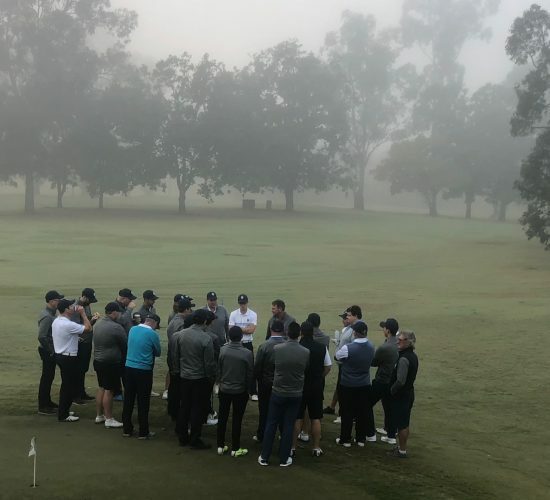 The Brisbane Golf Club sits on top of the table and remains the only undefeated team at the halfway mark of the BDGA Division 1 Pennants season. However, with two critical away games over the next two weeks BGC will need to continue its good form to be a chance of securing back to back titles. BGC has 5 points from three matches whilst Royal Queensland Golf Club and Keperra Golf Club have 3 points each. Nudgee Golf Club are in fourth spot on the table with 1 point. Interestingly, after three rounds all four teams have a realistic chance of winning the Pennant and all four teams also have a realistic chance of being relegated back to Division 2. BGC split the points yesterday with Royal Queensland Golf Club after the two teams played out a 10.5-10.5 draw. After losing to BGC in Round 1 at home this match was always going to be critical for RQ and they came to play with a very strong team. After a slow start BGC fought hard but full credit must go to RQ who are the only team in a number of years to secure points from BGC at home. Both teams were missing regular players from their Junior teams due to the Queensland School Sport State Championships being played on the same day and it was RQ who proved to have the better depth winning 3.5-1.5. Ben Stieler’s first win of the year and Hayden Millen squared match contributed enormously to the final result. Whilst debutant Dylan Jones lost his match we are certain the experience gained from the day will be valuable when he represents BGC in pennants in the future. Our Opens were coming off a strong win the previous week against Nudgee Golf Club but were unable to replicate that performance going down to RQ 4.5-6.5. There were a number of matches that finished all square with both teams left to think of what could have been. Lawry Flynn remains our only undefeated players in the Opens after winning his match against James Mee 3&2. Other winners were Stephen Cox 2&1 and Tom Deane 2&1. Kurt Carlson, Tim Lukin and Dylan Barraclough each squared their matches. Our Masters welcomed the return of their regular number one Gary Brodie and produced an impressive performance to defeat RQ 4.5-0.5. The experience of this team at home proved the difference with BGC needing to come from behind in four of the five matches to record the win. Warwick Oxenford won his match 4&2 and remains undefeated this year whilst Phil Melksham and Stephen Deane continued their form from Round 2 to both win 2&1. Gary Brodie proved playing golf in Europe for the last four weeks was the perfect preparation also winning 2&1. Rick Davenport also remains undefeated after winning his last hole of the day to square his match. BGC and RQ have now completed their home and way series this season and across 42 matches only one point separates the teams 21.5 to 20.5 despite BGC securing 3 points from a win and a draw to RQ’s 1 point from a draw. 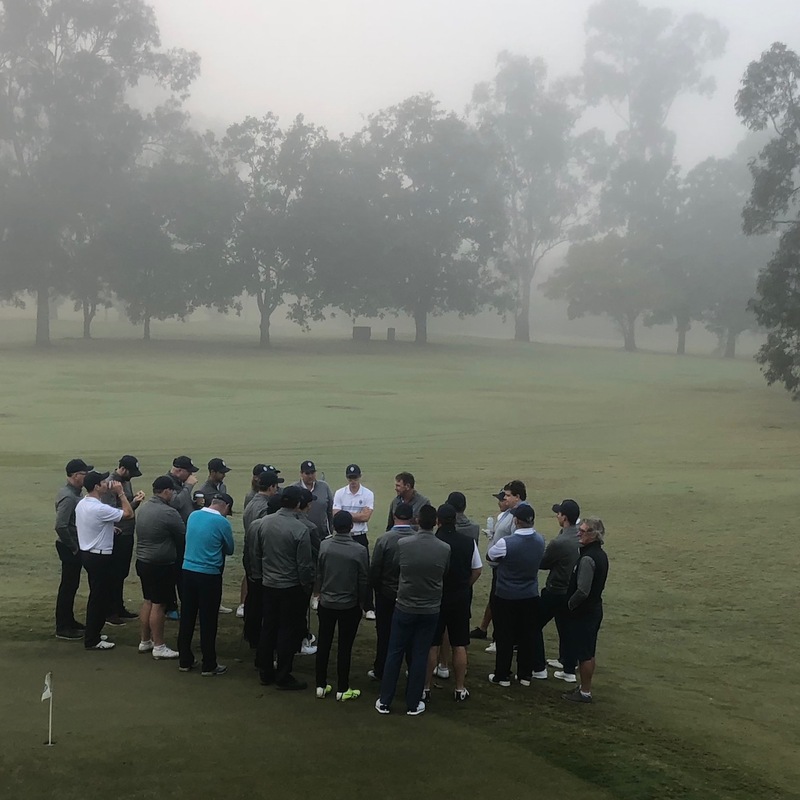 Ironically the other Division 1 match between Nudgee Golf Club and Keperra Golf Club also finished in a draw yesterday. Next Sunday BGC will play Keperra Golf Club away with the first match again teeing off at 7am. BGC lost the corresponding match last year and with the winning team likely to be the new competition leaders there is plenty to play for.